^ Mary A. Giunta, J. Dane Hartgrove (1998). Documents of the emerging nation. Rowman & Littlefield. p. 72. ISBN 9780842026642. http://books.google.com/books?id=dhCWEA_aUsMC&pg=PA72&lpg=PA72&dq=Carlisle+Commission&source=bl&ots=QE2U1BX0F3&sig=TX4eTKs4O0qV8jYIIO4abKc19K4&hl=en&ei=IOnrSYrNNcXJtgeAn43PBQ&sa=X&oi=book_result&ct=result&resnum=5#PPA72,M1. ^ See the individual battle articles for more detailed information about a battle's remembrances. Bennett, William J; Cribb, John (2008). The American Patriot's Almanac. Thomas Nelson Inc. ISBN 9781595552679. Black, Jeremy (1991). War for America: The Fight for Independence, 1775-1783. New York: St. Martin's Press. ISBN 0-312-06713-5. Boatner III, Mark Mayo (1966; revised 1974). Encyclopedia of the American Revolution. New York: McKay. ISBN 0-8117-0578-1. Ferling, John E (2007). Almost a miracle: the American victory in the War of Independence. New York: Oxford University Press US. ISBN 9780195181210. OCLC 85898929. Murphy, Jim (2007). The Real Benedict Arnold. New York: Clarion Books. ISBN 9780395776094. Nickerson, Hoffman (1967 (first published 1928)). The Turning Point of the Revolution. Port Washington, NY: Kennikat. OCLC 549809. Pancake, John S (1977). 1777: The Year of the Hangman. Tuscaloosa, Alabama: University of Alabama Press. ISBN 9780817351120. OCLC 2680804. Scott, John Albert (1927). Fort Stanwix and Oriskany: The Romantic Story of the Repulse of St.Legers British Invasion of 1777. Rome, NY: Rome Sentinel Company. OCLC 563963. Smith, William Henry (1882). The St. Clair Papers: The Life and Public Services of Arthur St. Clair. Cincinnati: Robert Clark. OCLC 817707. http://books.google.com/books?id=sIUvN0eyjsIC. Walworth, Ellen Hardin (1891). Battles of Saratoga, 1777: the Saratoga Monument Association, 1856-1891. Albany: J. Munsell's Sons. OCLC 2183838. http://books.google.com/books?id=nq2dQYOEP-sC. Bird, Harrison (1963). March to Saratoga: General Burgoyne and the American Campaign, 1777. New York: Oxford University Press. OCLC 299497. Burgoyne, John; O'Callaghan, Edmund Bailey (1860). Orderly book of Lieut. 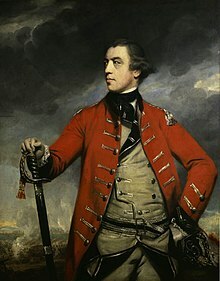 Gen. John Burgoyne: from his entry into the state of New York until his surrender at Saratoga, 16th Oct. 1777 ; from the original manuscript deposited at Washington's head quarters, Newburgh, N. Y.. Albany, NY: J. Munsell. OCLC 2130372. http://books.google.com/books?id=zU52AAAAMAAJ. Chidsey, Donald Barr (1967). The War in the North: An Informal History of the American Revolution in and near Canada. New York: Crown. OCLC 394996. Elting, John R (1977). The Battles of Saratoga. Phillip Freneau Press. ISBN 0-912480-13-0. Glover, Michael (1976). General Burgoyne in Canada and America: Scapegoat for a System. London: Atheneum Publishers. ISBN 0-86033-013-3. Graymont, Barbara (1972). The Iroquois in the American Revolution. Syracuse, New York: Syracuse University Press. ISBN 0-8156-0083-6. ISBN 0815601166 (paperback). Murray, Stuart (1998). The Honor of Command: General Burgoyne's Saratoga Campaign. Images from the Past. ISBN 1-884592-03-1. Stone, William Leete (1893). Ballads and poems relating to the Burgoyne campaign. Albany: J. Munsell's Sons. OCLC 1392761. http://books.google.com/books?id=IfsSAAAAIAAJ. Taylor, Alan (2006). The Divided Ground: Indians, Settlers, and the Northern Borderland of the American Revolution. Knopf. ISBN 0-679-45471-3. Watt, Gavin (2002). Rebellion in the Mohawk Valley: The St. Leger Expedition of 1777. Dundurn. ISBN 1-55002-376-4.